When I attended the ABA Legal Tech Show in Chicago in the hopes of learning more about legal technology, I was taken aback at just how easy and inexpensive it is for employers to protect trade secrets on mobile devices. This becomes necessary anytime the employer suspects that an employee is misusing its Confidential information, at the time an employee separates from employment, or after a device containing Company information is reported lost or stolen. Thanks to Mac Extraordinaire Tom Labotte of GlobalMac.com and John Jelderks and Techno lawyer, Barack Ferrazzano Kirschbaum & Nagelberg LLP (bfkn.com) I was amazed to learn that protecting trade secrets on mobile devices is easy and inexpensive. 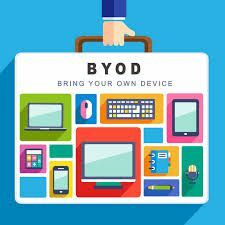 Implementing a Mobile Device Policy governing Company-issued devices or approved personally-owned devices under a “Bring Your Own Device” (“BYOD”) Policy. It is important to not only assess risk and infrastructure but that there is buy-in from all the important players who must implement and enforce it: IT, Risk Management, and HR. Also, consideration must be taken as to the corporate culture at the workplace, how employees use technology and the level of security and control that will be manageable. which can remotely wipe the Company data, applications, etc.or the entire device in a split-second. The MDM programs can also track the mobile devices, for example, if an employee reports the device missing, or it could be used to see how long the employee is on a meal break (Full disclosure, California law requires that a nonexempt employee take a half hour uninterrupted meal break by the fifth hour so if challenged, this would be nifty data). The MDM programs charge either per user or per device. So, if an employee has an iphone, ipad, and several other devices, the per user pricing may work best. For mac users, Tom recommended Bushel.com for small companies who exclusively use Mac computers, which is free for up to 3 devices and $2/month for each additional one. He described it as an “easy rollout/turnkey” so simple even I could use it. On average, it comes out to about $2-3 per license. He also recommended Meraki.com that he uses for network hardware because it has a great, full-featured MDM solution that is free up to 100 devices for each one of his clients. He also noted that Microsoft Exchange Servicer 2010 has a built-in MDM, which requires pass codes and can disable certain functions, as well as wipe the device. Office 365 also has a built-in MDM which is cloud based, the cost of which is negligible. However, the gurus were quick to caution that icloud is not a MDM solution for businesses, only for individuals who can access everything where the employer would not have control over its use, defeating the purpose of it altogether. Take-away: Employers no longer have an excuse to not protect their proprietary trade secrets!